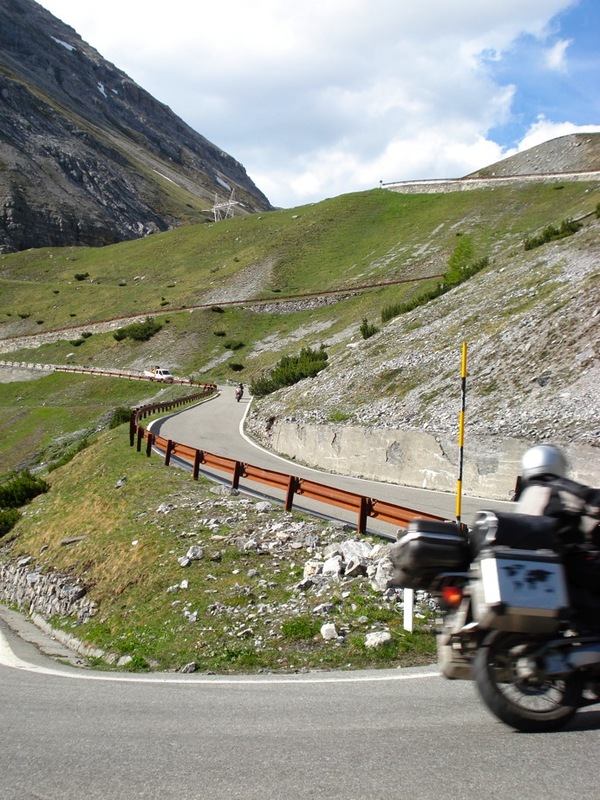 Self-guided, Guided Motorcycle Tour in the Alps and in the Dolomites. Affordable motorcycle tours in the Alps - Dolomites! Our Vacation Home is your headquarters for exploring the region in terrific local loop rides among the peaks of the Dolomite Mountains (the Italian Alps). We are located in the heart of the Dolomites. Each day I will propose a different full day or half day itinerary. We are sure you will love the atmosphere, the freedom and the local hospitality at our Dolomite Riding Center. You will ride in one of the most famous places in the world for motorcyclists. You will have a chance to experience the highest and most spectacular passes, like the Passo Gardena, Pordoi, Sella, Falzarego, Gavia and the highest and demanding Stelvio! In 100 kilometers we can be in Switzerland, in less than two hours we can cross the border into Austria trough the Passo Resia. Do you prefer warm climate? Well, Riva del Garda is only 1 hour and 30 minutes far away. I will give you a detailed road book and a regional map and we can discuss the best itinerary for the next day, while we are tasting a glass (or maybe two) of our great local wine, with same salami and cheese!